Best Pest Control Services, Inc. Comment: Termites are entering basement via concrete foundation/wall. Comment: I saw a mouse. That is all. Comment: Find mouse droppings, and caught 6 mice. Comment: Mice seemed to come into the basement as soon as the weather cooled down. Comment: I would like to get an estimate for some kind of a small animal in our attic and walls. Comment: I believe the wasp nest is located inside the wall of the house. They are now getting inside the house. I cannot get spray to the nest. I have been unsuccessful in killing them myself. I need a professional. AAA American Exterminators II, Inc.
Southbury Pest Control Services are rated 4.66 out of 5 based on 1,279 reviews of 12 pros. 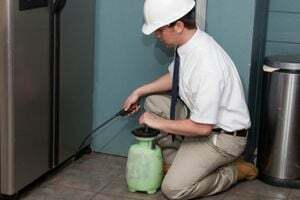 Not Looking for Pest Control Contractors in Southbury, CT?